This precious little girl came to see me when she was just 7 days old, the perfect age for a newborn session. Born at a little over 9 pounds, this chunky monkey had lots of adorable little rolls and chubby cheeks that I just wanted to pinch! 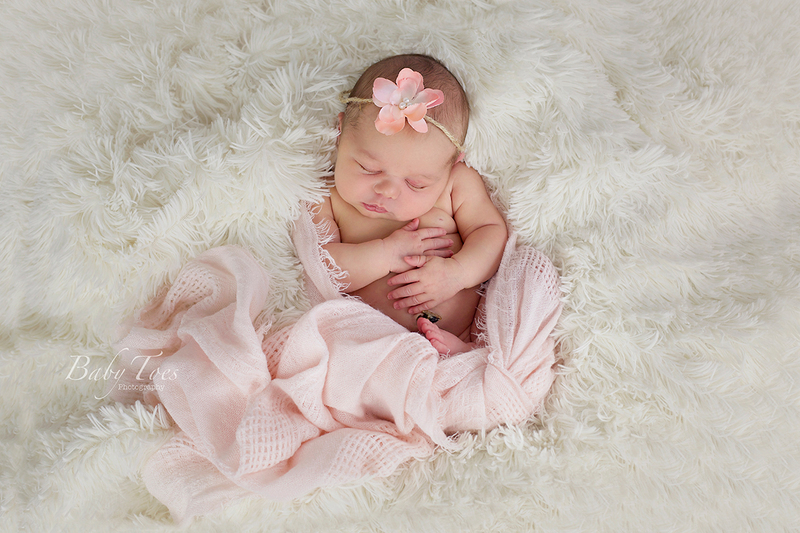 She was absolute perfection and I really enjoyed getting to know her wonderful Mom and Dad during the session as well. Congratulations to this new family of three!